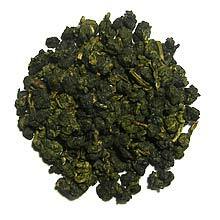 Nai Xiang Oolong originates from Taiwan. The name Nai Xiang means "Milk Fragrant", and as its name suggests, this tea is characterized by a distinct milk-like fragrance and taste. Nai Xiang Oolong is widely available and very popular in Taiwan due to its lovely unique taste and reasonable price. This tea has been gaining popularity in the United States and Russia as well. Lovely milk-like fragrance and taste. Good for multiple infusion.